Another year, another Fools Night out at the 4th Stage! I only just realized, checking the old blog, that this was my fourth COMPANY OF FOOLS 12th NIGHT FUNDRAISER party in a row! Gotta say, it’s a fairly dandy way to kick off the new year, and evening out in one of the cozier corners of the National Arts Centre, surrounded by supporters of the arts and talented pals to help one of Ottawa’s oldest professional theatre companies A Company of Fools raise some cash and launch their new season. And, of course, to crown a new king or queen of Fools. The joint got jumping early when lead Fools Scott Florence and AL Connors took the stage, and made the happy announcement that the lady miss Catriona Leger was officially being returned tot he fold as a full time Fool, as wise decision as these Fools have likely ever made. The three of them then proceeded to help the evening live up to its name by giving us a quick retelling of Shakespeare’s TWELFTH NIGHT in a brand new interactive format they call SHAKESPEARE AND YOU (or possibly SHAKESPEARE AND THE ZOMBIE DINOSAUR APOCALYPSE, they’re still deciding) and will potentially be touring this spring. It’s an intriguing way to try and gauge the ongoing relevance of old Zombie Bill’s work, turning the presentation into a conversation with the audience. Curious to see how this one will fly in full production mode. Then on March 27th, it’s time for World Theatre Day and the annual OTTAWA THEATRE CHALLENGE! Competing teams have 48 hours to create an all-new piece of theatre, based on a trio of inspiration items, vying for the coveted Rubber Chicken Award! 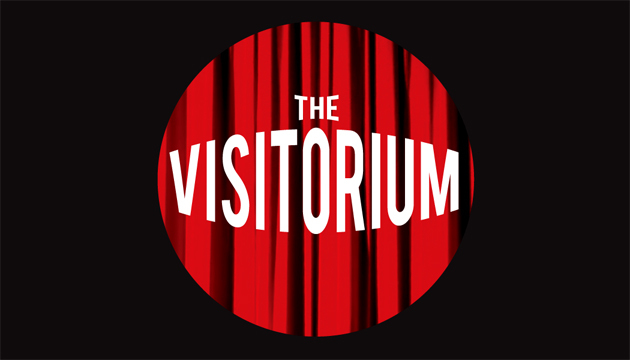 It’s a fantastic and fun event, and last year’s winnners, the team from the Gladstone Theatre, have decreed that the proceeds from this years event will be going to the Actors Fund of Canada. Good cause, good times…get your team together now! About this time in the evening the cake came out, and a new monarch was chosen…all hail Laurel (and I hope I heard that name right), this year’s reigning Queen of Fools, who made the (some might say disturbingly quick) decision to have Scott Florence executed…he proceeded to have a rather touching, if violent, death scene played out at the hands (or flippers) of an Elephant Seal. You kind of had to be there, honestly. But the show must go on, dead Scott or no, and it was time to announce the main event, the Fool’s centrepiece, the touring Torchlight Shakespeare show. 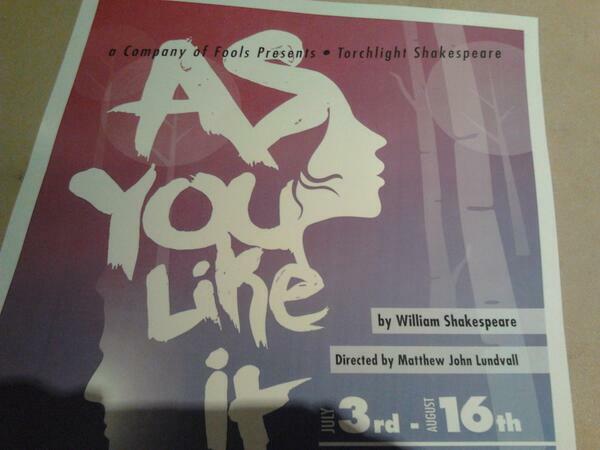 And his year, as heralded by last years’ Falstaff and director of this years show Matthew John Lundvall, the Fools will be getting down with AS YOU LIKE IT. Touring Ottawa and area parks between July 3rd and August 16th, the gender bender romantic comedy (last seen in O-Town courtesy of BEAR AND COMPANY‘s great version a couple years back) will star Simon Bradshaw, Catriona Leger, Geoff McBride, Scott Florence (back from the dead! ), Katie Ryerson and Foolish newcomer Kate MacArthur! The Fools’ tour is always one of the highlights of the Ottawa theatre year, and this one promises to be no different (did I mention that they’re setting this version in Ottawa..?). There was only one thing left to announce, and…well, I still don’t know what it is. AL Connors was deliberately vague about the final mystery project on the Fools’ docket, a commission from the Great Canadian Theatre Company that may or may not see the light of day this year, and may or may not feature two local clowns of some repute…stay tuned! PS: all props to Scott Florence’s 3-year old son, who absolutely stole the show last night. Like Father like son!